Outer space looks so peaceful and tranquil from the images we have received over the years from NASA astronauts. Yet the reality of space is that it is an unforgiving place, and impossible to survive in without adequate protective gear. 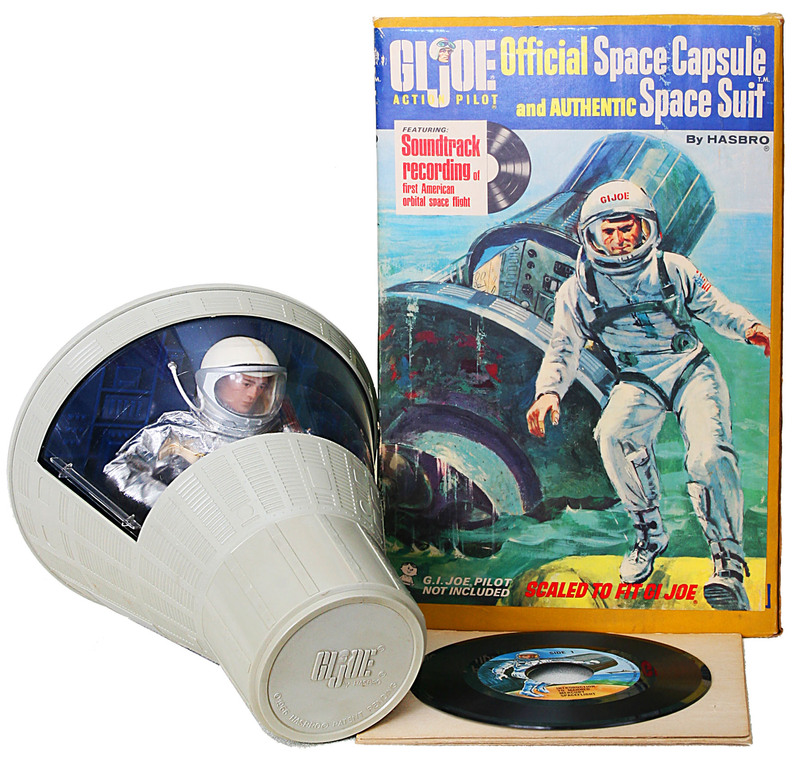 Without a space suit you would lose consciousness within seconds because there is no oxygen. Blood boils and then freezes because of the lack of air pressure. Extreme changes in temperature would kill you one way or the other: In sunlight temperatures reach 248 degrees Fahrenheit and in shade temperatures drop to -148 Fahrenheit. And you’d be exposed to radiation. 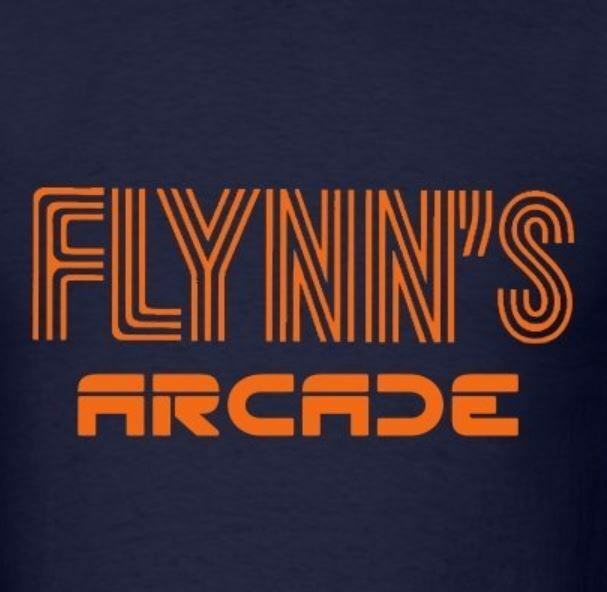 Basically, no spacesuit… and you’re done for. 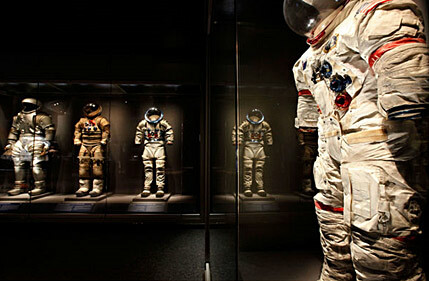 Above is an image of the actual space suits used by American astronauts in the 1960s and 1970s. I grew up with stories from my dad about being on one of the recovery ships for John Glenn’s (first!) historic space flight. I was fortunate to have worked with a NASA spacesuit on display at the National Air and Space Museum at the Smithsonian Institution on the Moon Landing’s 20th anniversary, and witnessed the three Apollo 11 astronauts speaking of their journey. Since then I have met two other men who went to the moon. On the one hand they are just people like everyone else. On the other, they all realize they have done something incredible. 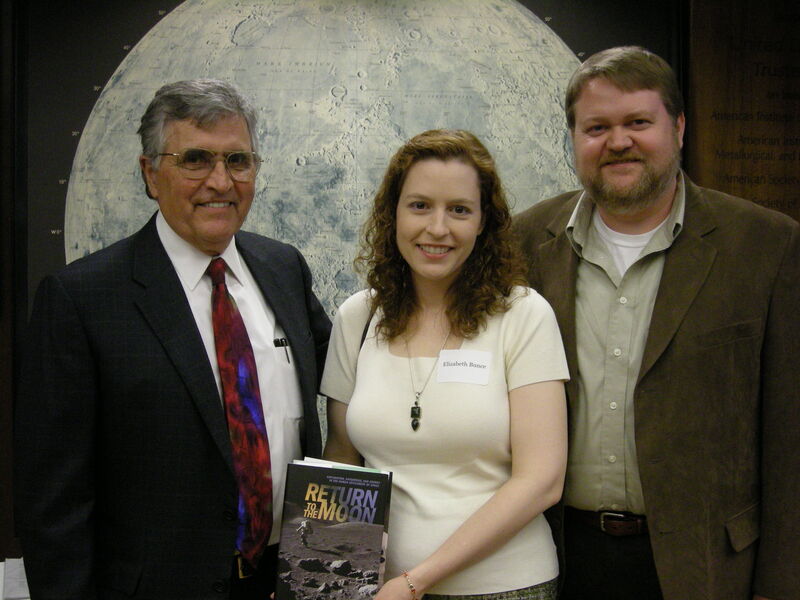 Harrison H. Schmitt, the 12th and last man to walk on the moon, at book launch with Elizabeth C. Bunce and C.J. Bunce. I’ve also been lucky enough to see in person not only the several space capsules in Washington, DC, but something I never thought I’d see when I was a kid–Gus Grissom’s Liberty Bell 7 capsule, cleaned up after being found at the bottom of the Atlantic resulting from his controversial flight. 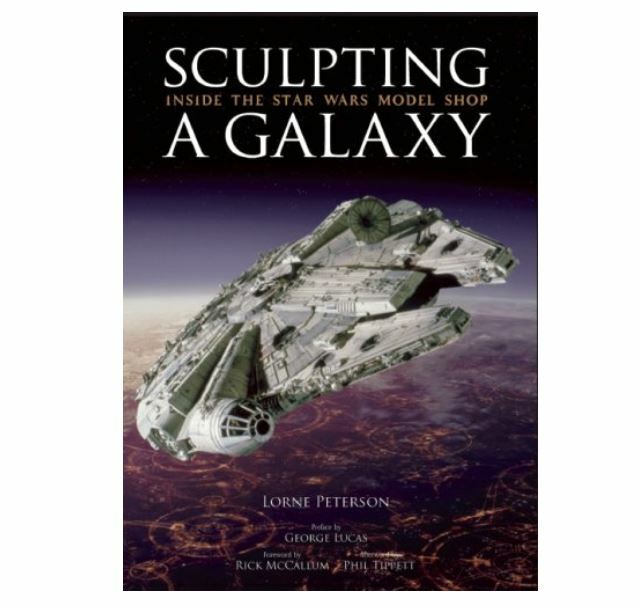 Real life space travel carries a special kind of magic, and to try to match it, Hollywood has its work cut out for it. 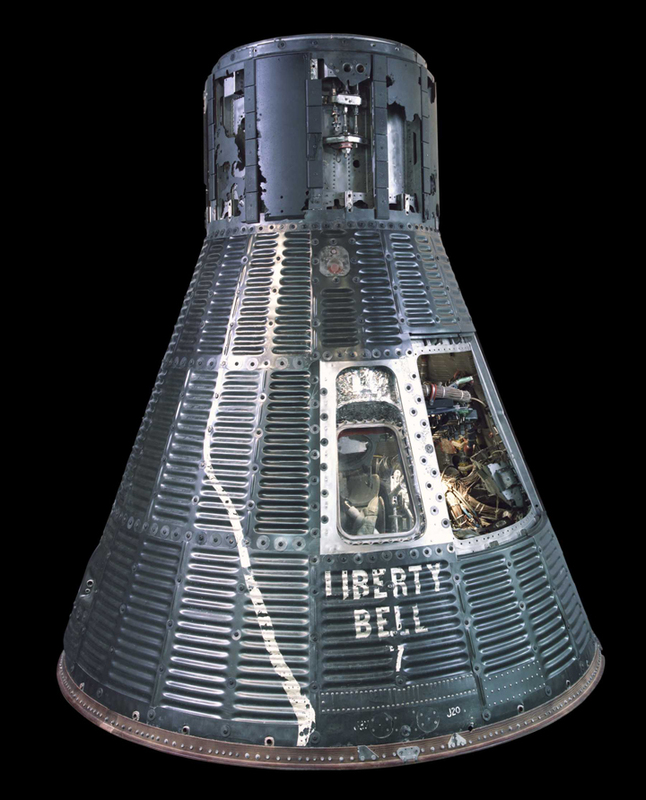 Gus Grissom’s restored Liberty Bell 7 module, now at the Kansas Cosmosphere and Space Center. More than a century of science fiction has recognized the need for some travel suit or the other for space travelers of the future. 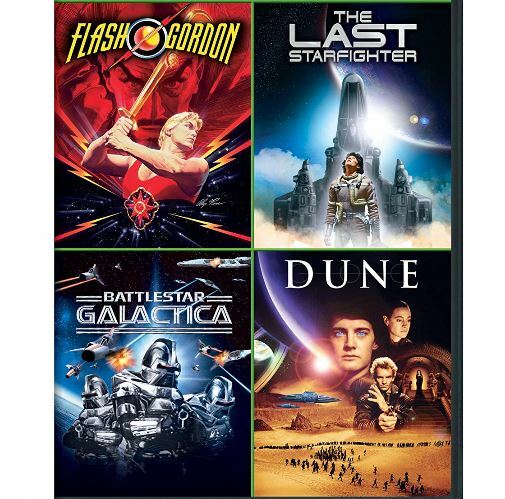 As reflected in science fiction films, costumers in Hollywood have adapted to the cutting edge science of the day to perfect the look and feel of the future for their science fiction fan audience. 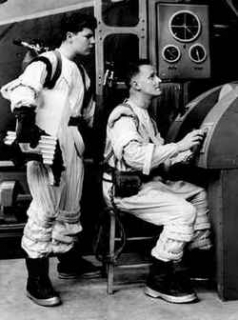 But it wasn’t until the space race that the modern real space suit look was established as the standard, when costumers realized that realistic travel in space required pressurized suits, including what is obvious today, components like gloves and airtight helmets. 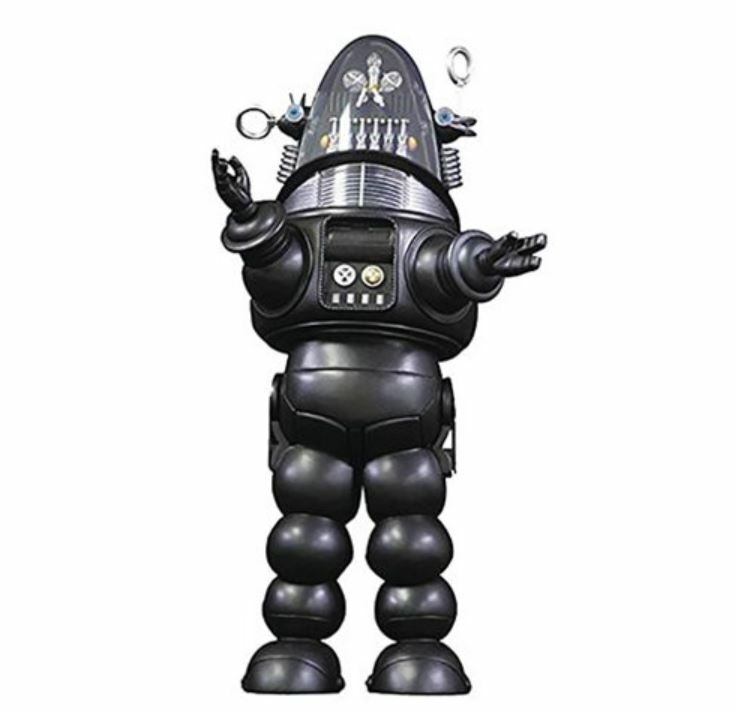 Whether film producers are making TV series or movies, space suits end up as a large chunk of the production budget. Looking right costs money. 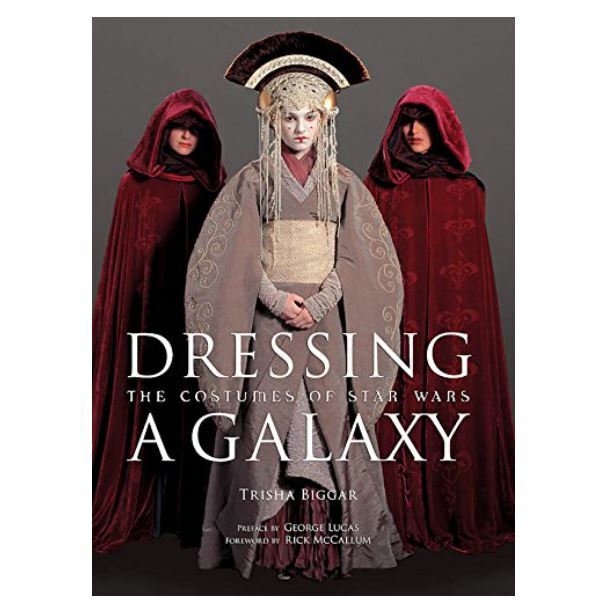 Leading the way in the future of dress in outer space was the original Star Trek series and subsequent Star Trek series. 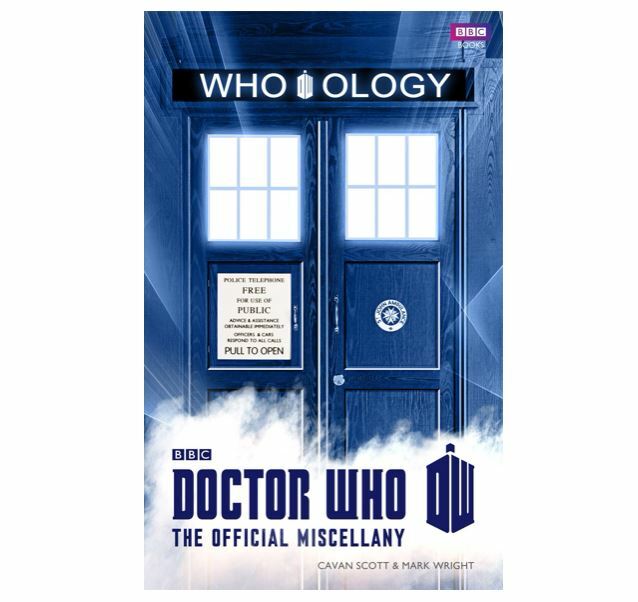 But because of budget constraints there was a surprising lack of actual space suits on each of these series. 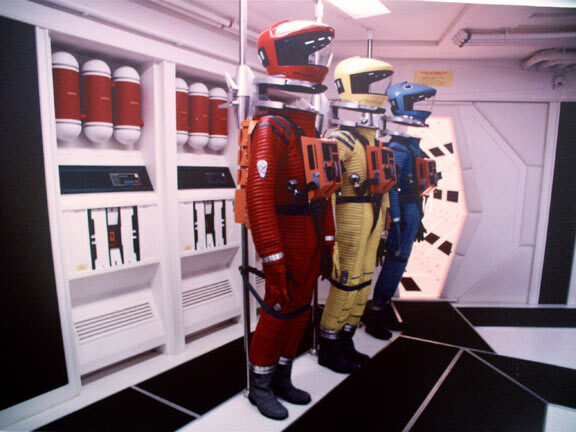 Even though the cast of Star Trek: The Next Generation referred to their shipwear as “space suits” on a daily basis on set, that’s not the type of gear we’re discussing here. 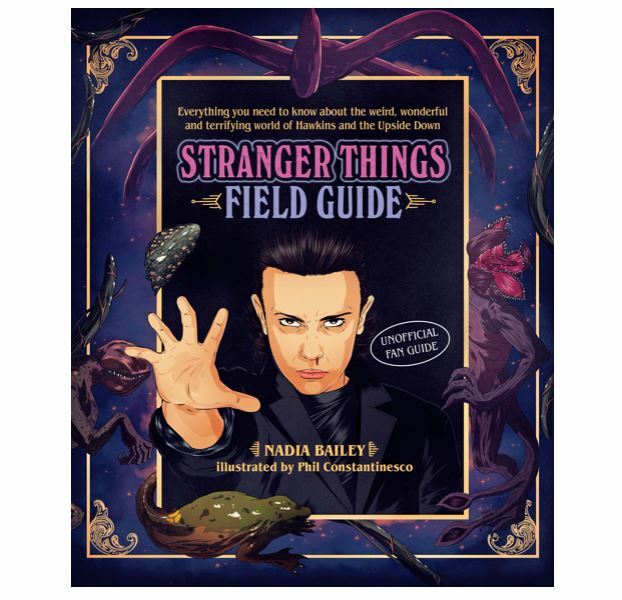 A chronicle of those types of suits would fill a book, from Star Trek to Babylon 5 to all the other science fiction TV series made by the Syfy Network alone. Those typically form-fitting and more military styled suits were a much cheaper way to make a TV series that could survive financially. 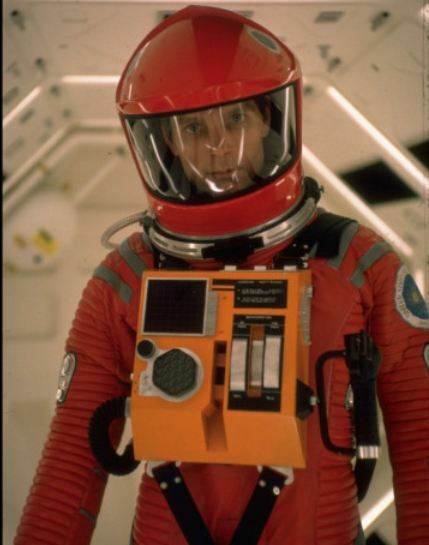 Likewise, we’ll save for another day space pilot suits, like Luke Skywalker’s X-Wing fighter flight suit from Star Wars and Apollo’s Viper flight suit from Battlestar Galactica. 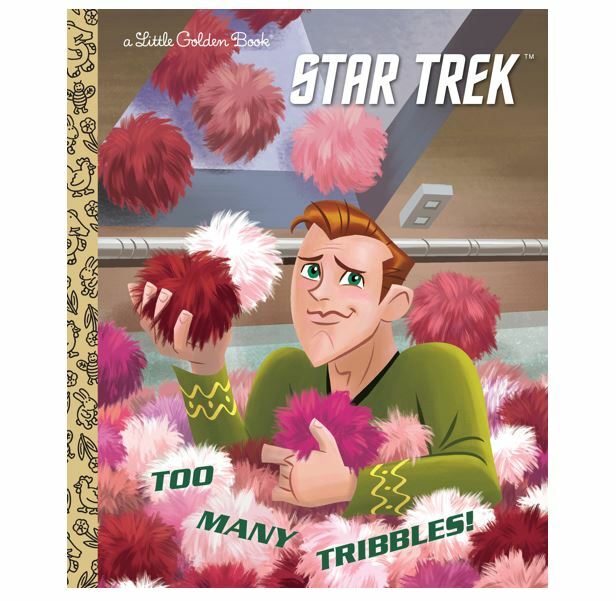 But even Star Trek was able to spend budget dollars on space “outer wear” over the years from time to time. 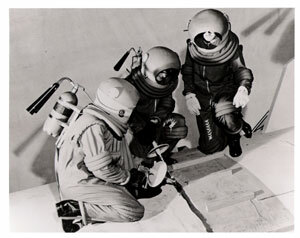 The following is a look at the change of the design of the space suit in film over the years. 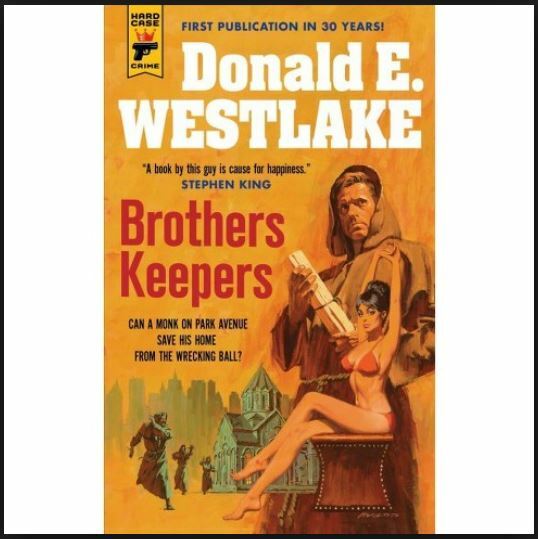 Literally thousands of artists’ renderings of space suits can be found in countless covers to pulp novels, comic books, and other works, too. Many of them influenced or mirrored the designs below, and ultimately the costume designers rarely stray from reflecting the forward looking vision of their time. 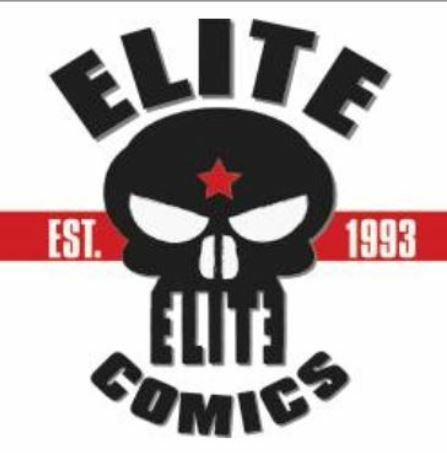 Note: Please send us your updates, new images and old, suits we missed and those published since this article was written, care of editor@borg.com. 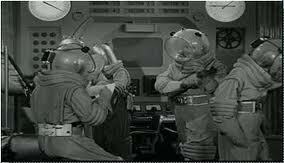 In the 1902’s A Trip to the Moon, probably the first real science fiction film, they didn’t even bother with a space suit, just the explorer’s formal dress of the day. 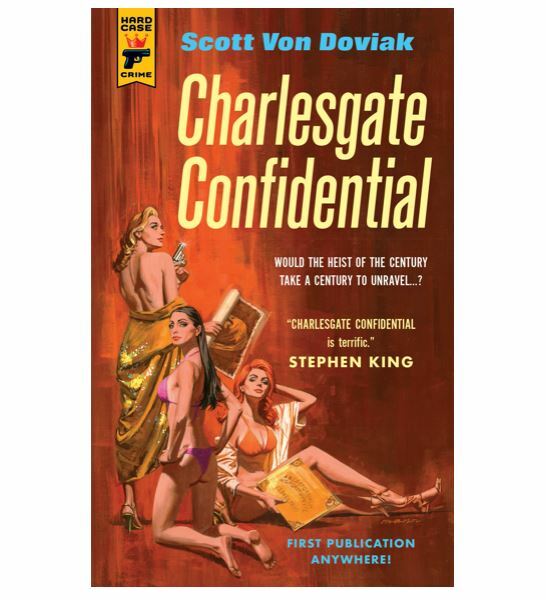 The dawn of sci-fi serials arrived. 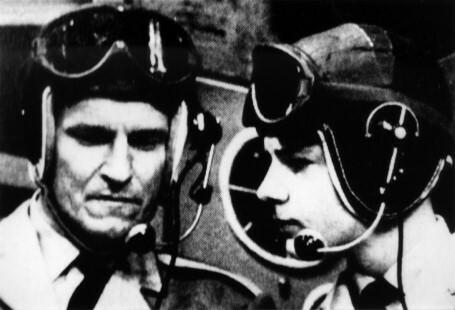 In the 1950s serial Captain Video, the heroes wore basically modified football helmets and contemporary air force gear. But Captain Video also had more futuristic garb. 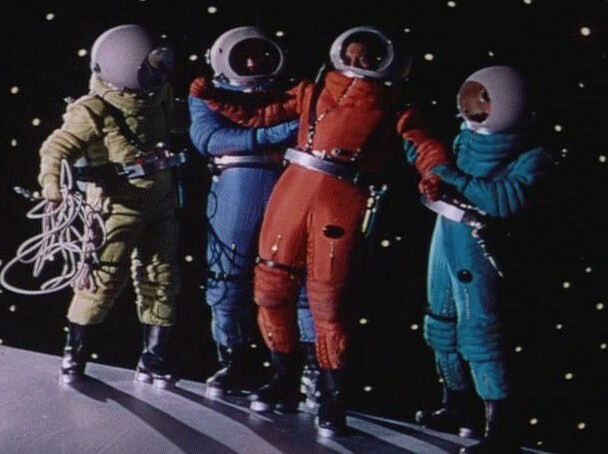 In 1950’s Destination Moon, we see the first of the color-coded space walkers, a concept used as recently as in Star Trek 2009. 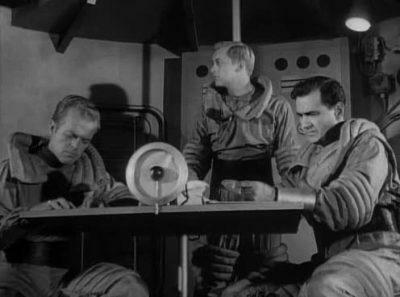 In 1950’s Space Patrol we begin to see a costuming theme–the multiple cuff rolls–an element that makes it to the Star Trek movies in the form of the radiological suits. 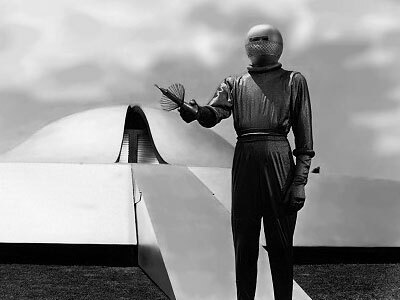 In 1951, serious science fiction comes of age with The Day the Earth Stood Still, and with it we get a peak at not what Earthlings might wear in space, but what the aliens already there wear. In Cat-Women of the Moon (1953) we see more of the rolled armwear that would become typical of 1950s TV and film, and the glass globe found in many lesser sci-fi works. More cuff rolls! 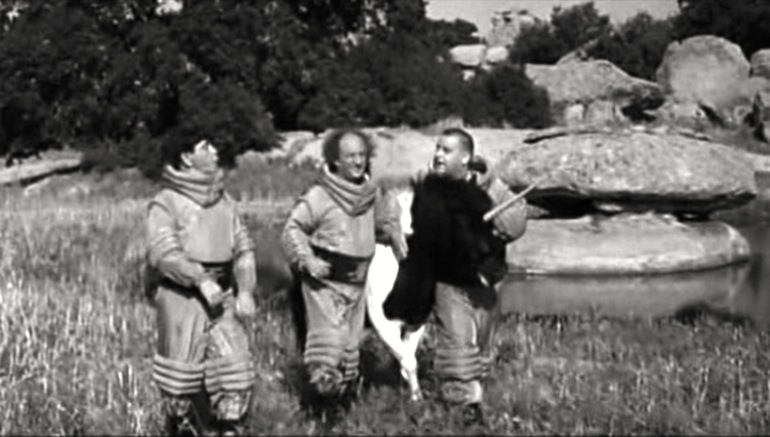 With the comedy Have Rocket Will Travel (1959) the Three Stooges enter the Space Age. … and Little People, again with the football helmet. 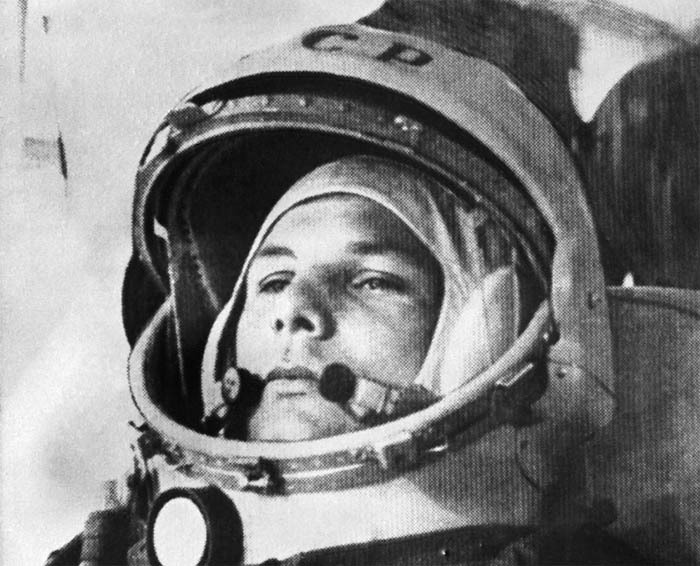 In 1961, no “costume” was necessary as Earth witnessed the first astronaut donning a space suit in outer space, with Yuri Gagarin’s epic flightas the first human in space. 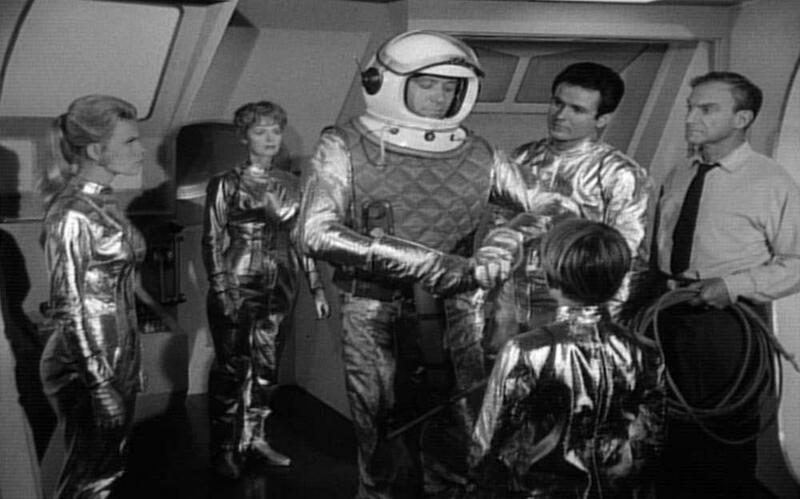 In 1965 Lost in Space not only featured John Williams’ first sci-fi soundtrack, but cutting edge, cool space stories and characters filled the TV screen, including Dr. John Robinson’s space suit. 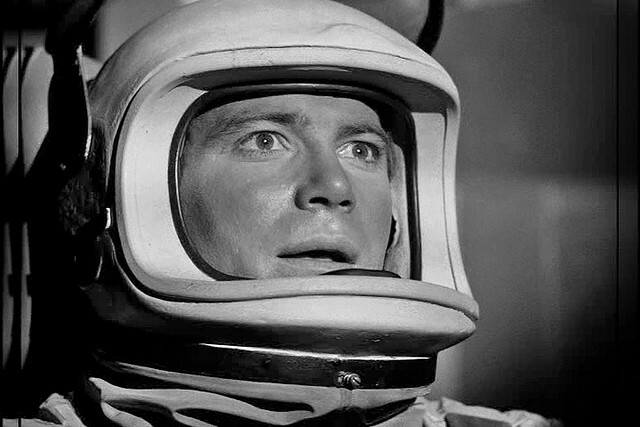 The TV series The Outer Limits offered up various versions of spacesuits in the early 1960s, but no performance in-suit was as memorable as that of William Shatner in the episode “Cold Hands, Warm Heart,” a realistic space suit like those worn by real astronauts. In the 1970s one of my favorite comedic actors was Jerry Lewis. 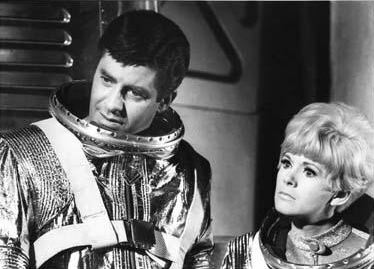 Being a kid I laughed at everything he did, and I remember not quite understanding more of the risque bits of his 1966 film with Connie Stevens about bringing both sexes together in space: Way, Way Out. 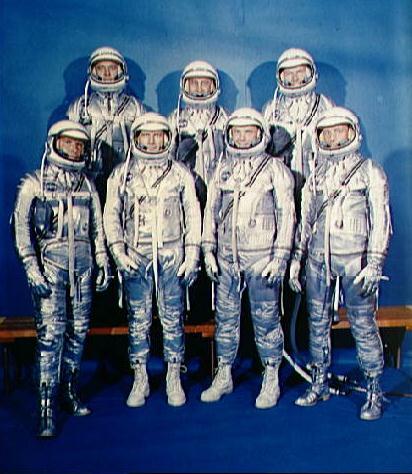 It also makes me think this was the start of me thinking all space suits should be made of aluminum fabric. 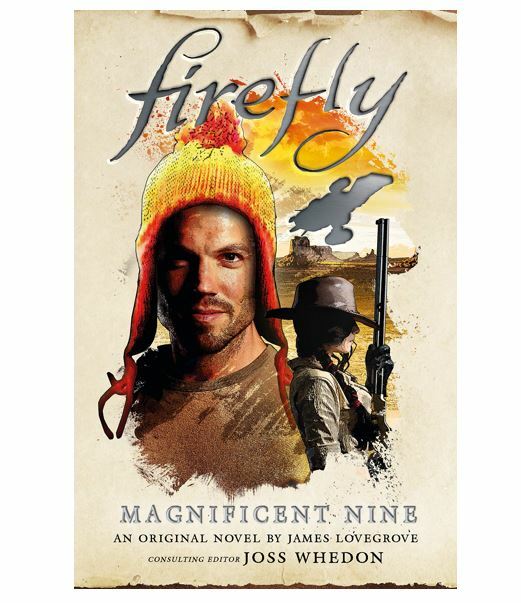 … and of the great astronaut G.I. Joe. In 1966 the original Star Trek arrived. 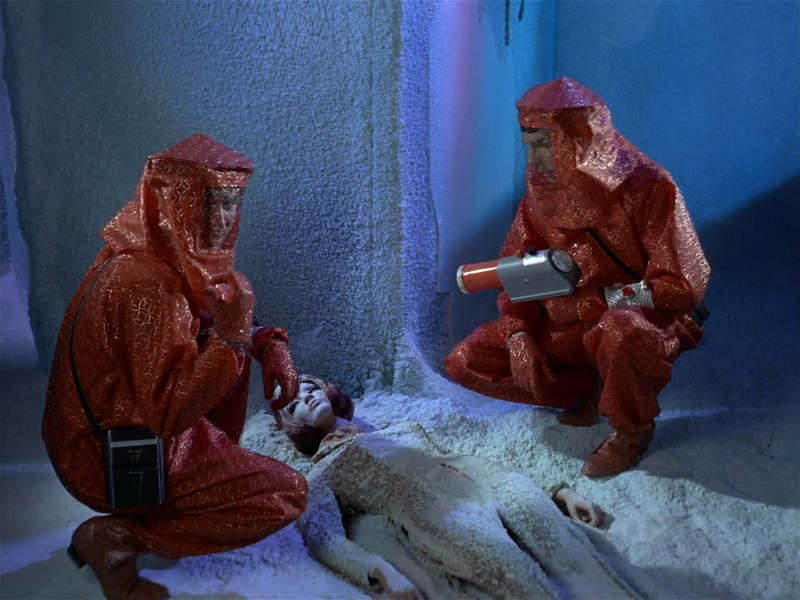 I’m not sure if it is truly a space suit or more of protective wear, but here is Spock sporting full gear in the episode The Naked Time. 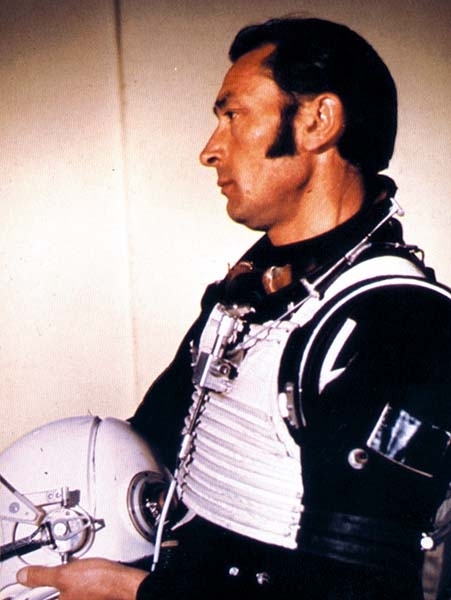 1967 saw the first of the James Bond films addressing outer space with You Only Live Twice, with Russians in space. 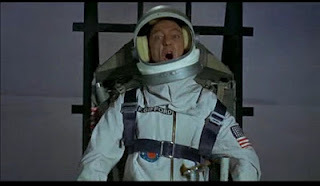 The typical bumbling Don Knotts role was even more fun in space, as seen in 1967’s The Reluctant Astronaut. 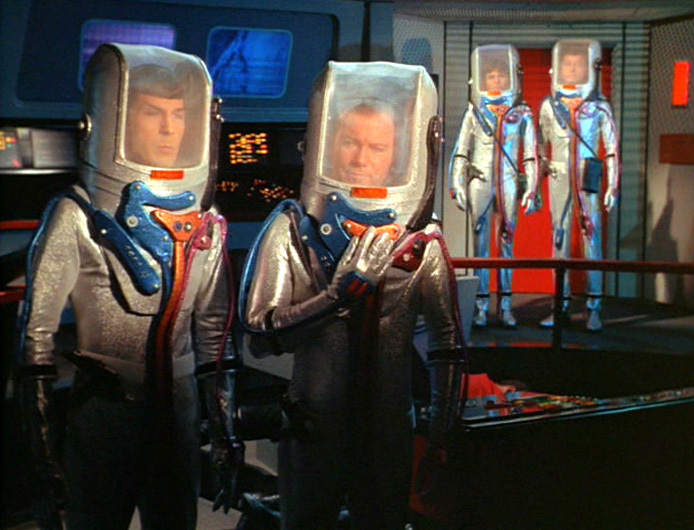 In 1968 Star Trek got real space suits instead of velour shirts, as seen here worn by the Enterprise crew in the classic episode The Tholian Web. 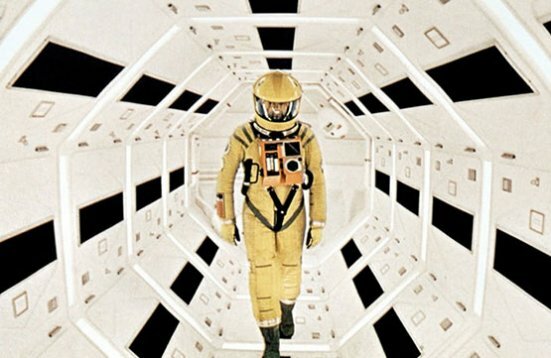 Upping the ante, Stanley Kubrick spared no expense to create multiple space suit variants for 2001: A Space Odyssey in 1968. 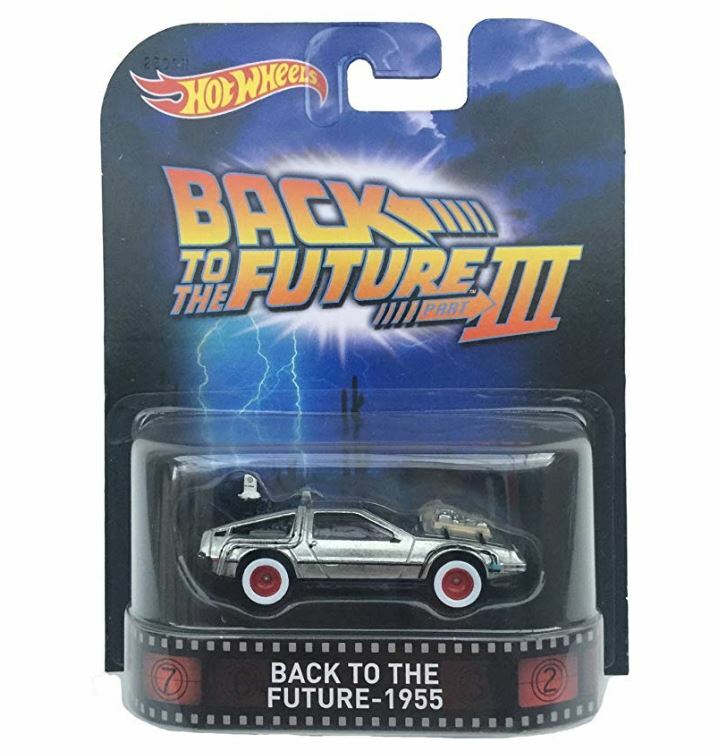 Here we have that color-coding concept again. Here is David’s red-orange suit close-up. 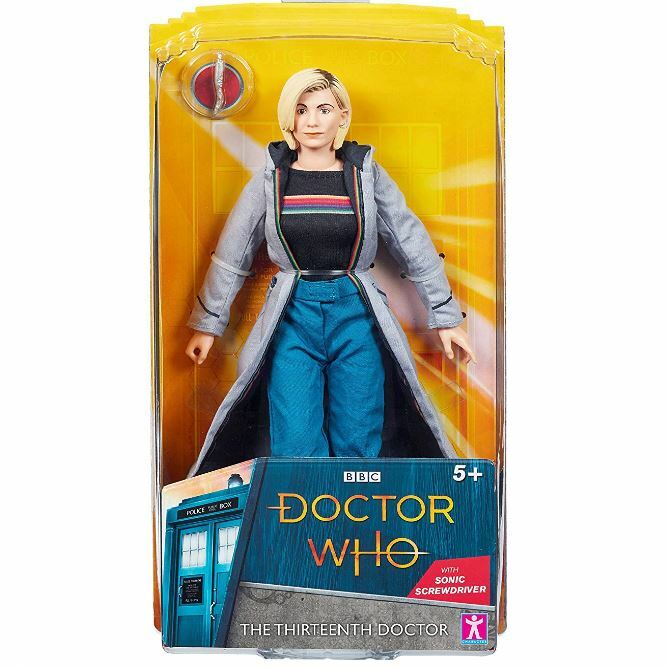 And the yellow version of the suit. 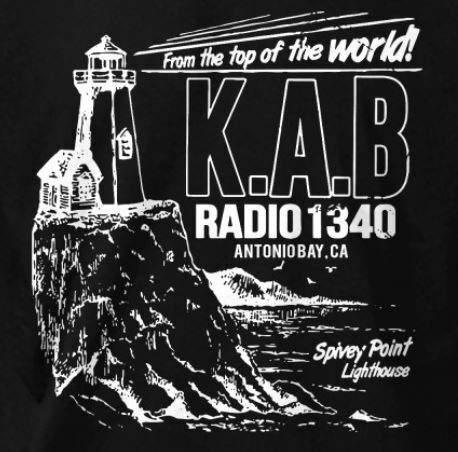 And 1960s camp participated in the Space Race as well, as seen in 1968’s Barbarella. But it didn’t stay on long. 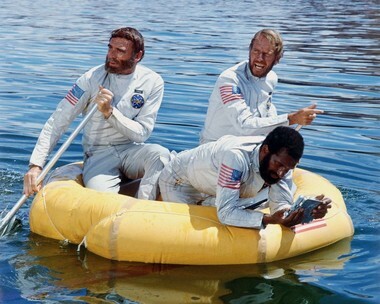 In the same year, Charlton Heston & Co. soar off in space gear to a very familar planet in The Planet of the Apes. 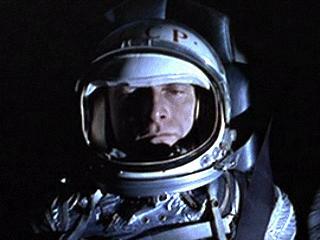 In 1971, Earthlings saw Heston’s character leave in a rocket and apes return in Escape from the Planet of the Apes. Strange goings-on for Sean Connery’s James Bond in 1971’s Diamonds are Forever. 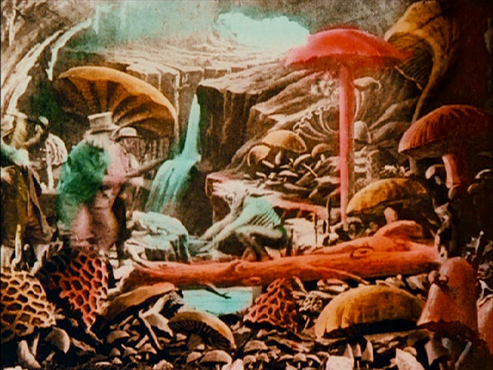 As a big John Carpenter fan, I was surprised his early film Dark Star was so hard to watch. 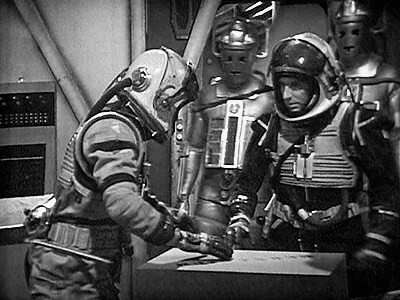 And he used very odd space suits. 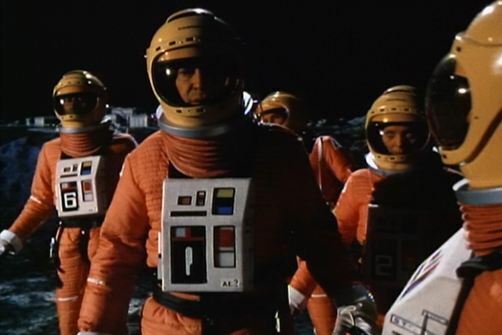 In 1975, Space: 1999 had Martin Landau and even women astronauts in these great, orange suits, similar to the Star Wars X-Wing pilot suits filmed around the same time. 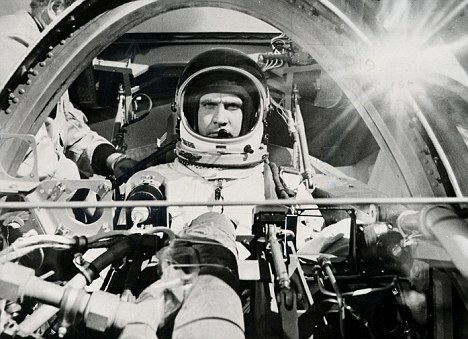 I’ve heard that NASA loaned real space suits to The Six Million Dollar Man series for at least one episode. I wouldn’t be surprised, as they look perfect. 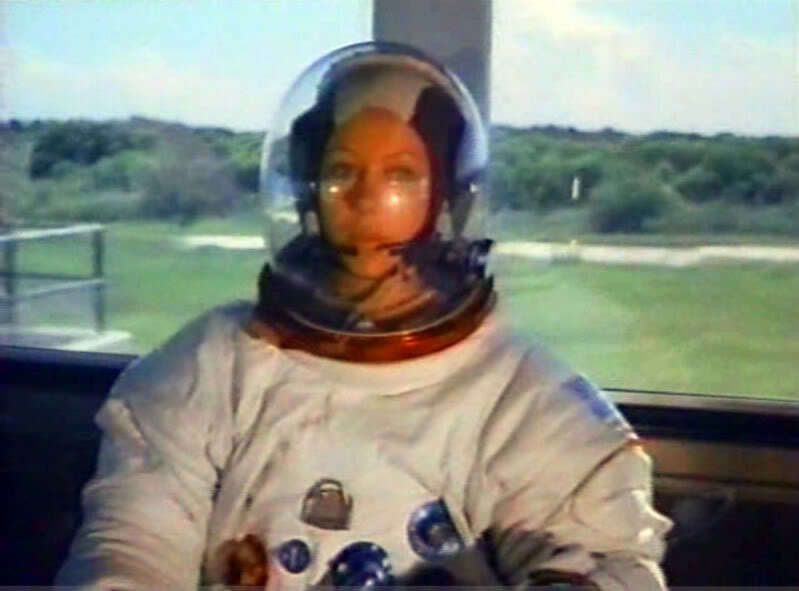 Here Jenny Agutter is shown guest starring on an episode of The Six Million Dollar Man in a great suit. 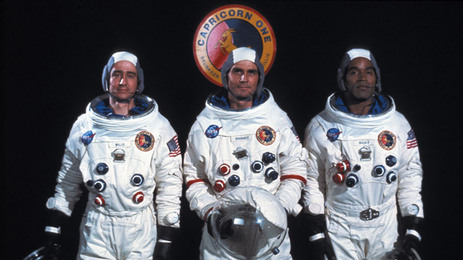 In 1977 Capricorn One showed us what conspiracy theorists thought all along, that even the real astronauts were wearing costumes. Waterston, Brolin, and Simpson. 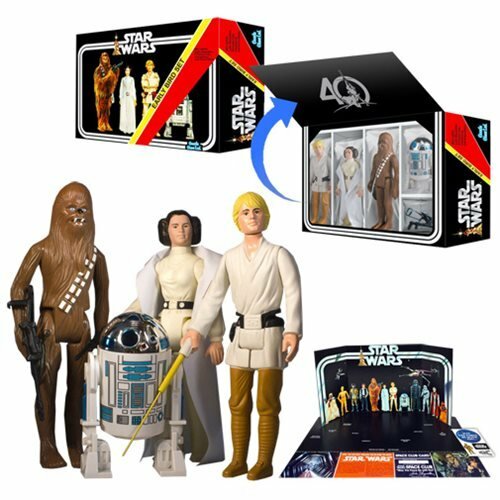 Strangely enough there are not a lot of space suits used in the Star Wars series since, like Star Trek, they didn’t have pressurization or other environmental concerns with their vehicles. One standout is an astronaut hanging at the Mos Eisley spaceport cantina. This photo is actually from the Superbowl ad from this year, creatures created by Tom Spina Design. 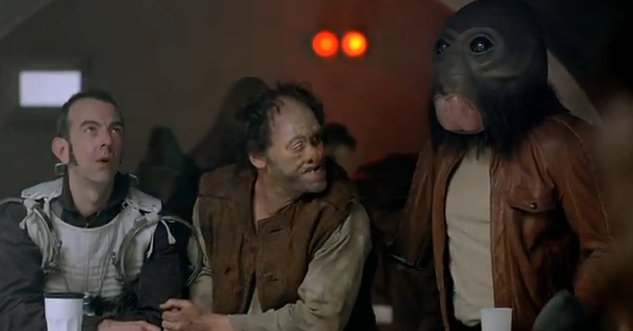 The original cantina guy in space suit. 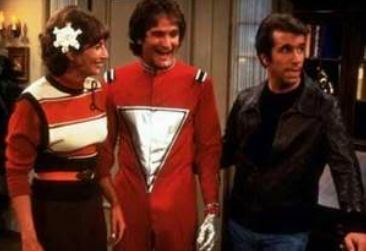 Between 1978 and 1982, Mork & Mindy catapulted Robin Williams career. 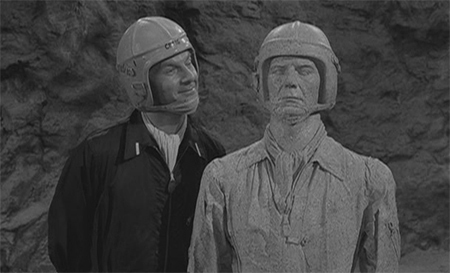 He arrived in a space suit complete with strange helmet. 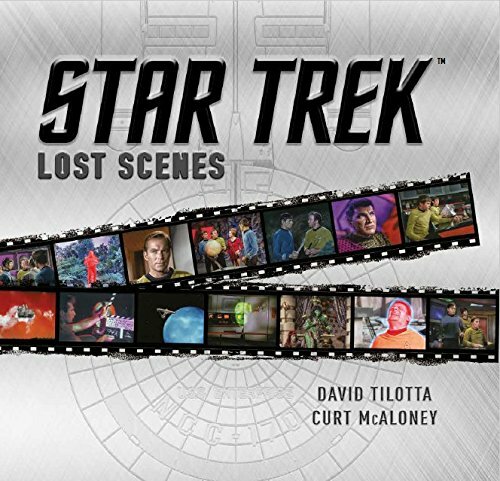 The series had access to the Star Trek archives and was able to use original series costumes and props. 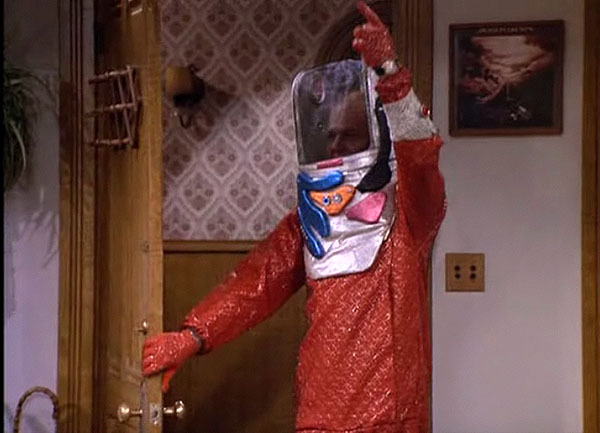 In this episode of Mork & Mindy, Mindy’s dad wears a space suit consisting of the Star Trek original series Tholian Web space helmet mismatched with The Naked Time protective suit! 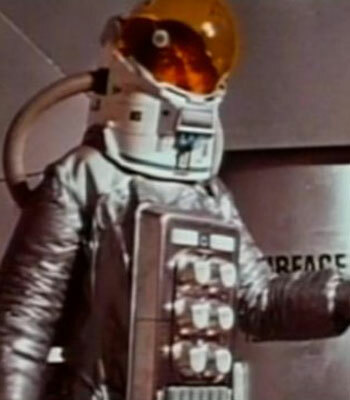 Come back tomorrow and we will continue with part 2–42 more uses of space suits in TV and movies, from 1979 to today.